Soup is one of the best ways to get a variety of nutrients while staying properly hydrated. Whether it’s finding comfort in a large bowl in the winter or cozying up with it on a rainy day, soup is an all-season food. Plus, there are plenty of flavors, textures, and ingredients you can play around with to always keep it interesting. Finding a lentil soup recipe that is both nutritious and delicious can be a challenge, so just scroll below to find the perfect recipe! Soup combines plenty of anti-inflammatory foods and spices to cure the cold and flu or even improve allergies and asthma. These foods also improve a number of other diseases caused by inflammation, such as depression, fatigue, diabetes, cardiovascular diseases, psoriasis, obesity, Alzheimer’s, cancer, and more. Inflammation is part of your body’s natural healing process. However, when it gets out of control, your body begins to attack itself. Chronic inflammation, of course, is triggered and worsened by stress, lack of sleep, and poor diet. 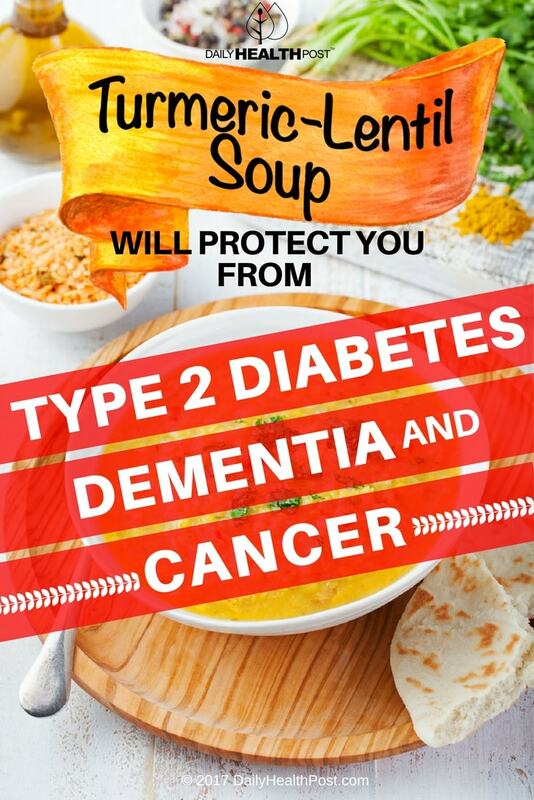 The healing lentil soup recipe below is just one great way to fight off inflammation, stay hydrated, and fight off just about any disease. 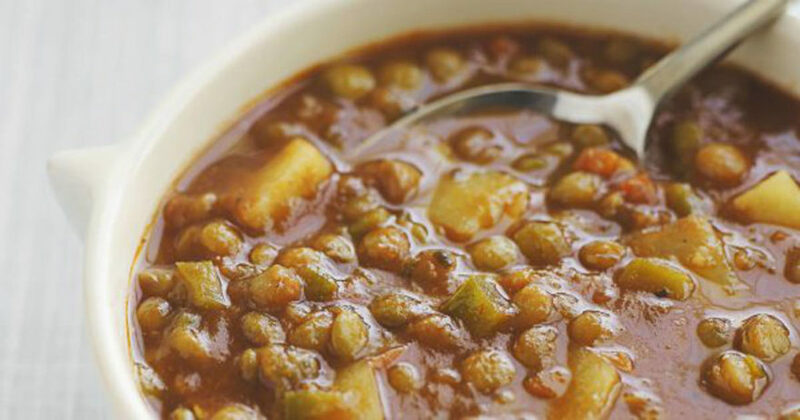 It might seem counter-intuitive to put apples in soup, but they provide a slightly sour and sweet touch to this lentil soup recipe. Make it as an appetizer, served alongside rice and vegetables or as the main course, with some fresh bread and butter. Rinse the red lentils with cold water until the water runs clear. Let the lentils drain completely. Melt the coconut oil in a medium pot and sauté the onions on medium heat until they are soft and golden. Next, add the turmeric and apples, and cook the mixture for 2 minutes, stirring frequently. Add water and bring the heat to high. Once it’s boiling heavily, lower to medium heat and add the lentils. Simmer covered for 15 minutes. Add coconut milk and spice and continue to cook until the lentils are soft, about 10-20 minutes. For a smoother soup, add an extra cup of water and simmer for 2 hours. Serve warm, garnished with pumpkin seeds and coconut shavings.